Are you running a blog or online business? then creating pages in social networks is a must in order to promote and go further. Google plus has grown and growing very fast in recent years and yes, the number of peoples using Google plus has increased rapidly. It’s beneficial and more important to create a Google plus page for your blog and business just like a fan page you have in Facebook, Twitter and LinkedIn. 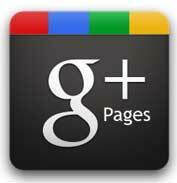 Google plus offers you to create a page in order to build audience for your blog, business and brand. To better interact with your fans and clients you have to use this opportunity to create pages and they have announced this way back in 2011. If you still don’t have a Google plus page for your blog, business or brand then it’s time to create one. Here we will see how to create Google plus page for blog and other business. Hope you got a profile at Google plus, now we will move on to create a page. Go to Google plus create page and you will see five categories to choose from just like Facebook. If you are a local business then select local business where you have to map your location and finally you will be asked to verify your ownership. Businesses like local business, restaurants, stores, hotels and places can pick this category. If you don’t have your business verified in Google places then you will be asked to enter your business information and just follow the onscreen instructions. This is the right choice for blogs and other online websites. Choose the right category that fits your brand and click next. Choose a name for your page, enter your blog or web address, agree to Google plus terms and then continue. Choose this category if you are an Institution, Organization or company and that can be anything like legal, nonprofit, and industrial. This category is for channels, TV, Books, movies, music, shows, sport and anything related to entertainment. If you fit in to any one of these then enter your page name, choose the right category, enter your website address and then proceed. If you feel like your page doesn’t fits any above categories then simply select other category. Enter your page name, web address if you have one and then proceed. Note: You have to determine the appropriate age group for your page that is suitable for any Google plus user, 18 or above, 21 or above. After selecting the right category for you page, the next step Google plus take you is to customize your Google plus page. Add a profile picture, cover photo, contact details, a brief introduction and a tagline to your page. Once done click save and continue and that’s it you have done created your Google plus page for your blog or business. At the top right corner click on your profile picture and you can see your page, select it to view your page. To make your page more discoverable in Google plus you have to link your website to Google plus page. To do so; go to your page about tab and at the bottom you can see links, click link website. Now you have two options to link and verify your website that is verifying through Google webmaster tools or by adding a piece of HTML code to your website. Hope you have successfully linked your website to Google plus, now it’s time to promote your Google plus page. Use Google plus as your page and start following peoples and business that matters the most. Ask people to circle your page that you have in your personal profile. Also you can show your site visitors about your new Google plus page by adding a badge in your site. We have made a post on adding Google + badge in Blogger and for wordpress go to Google + badge, create your style, copy the code and add it in your sidebar. Here at Blog Time Now you can see our Google plus page badge in sidebar. Be active and share more posts in your Google plus page, soon we will see about setting up a vanity URL for you page. Hope this post guided you on how to create Google plus page for blog and business. Share it and make sure you subscribe to our RSS feeds and to receive updates from us follow our page in Google plus.